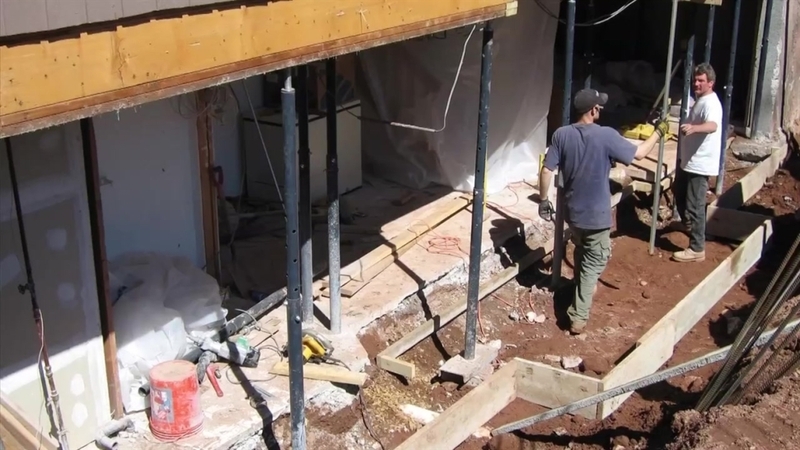 There’s very little the state insurance department can do to help homeowners with crumbling foundations that have their claims denied by their insurance provider. Gerard O’Sullivan, director of the Consumer Affairs Division at the Department of Insurance, says it’s uncommon for homeowners policies to cover failing foundations. "Under a homeowners policy, it’s a sudden and accident peril that is insured against," said O’Sullivan. "Not even all of those are insured." Roughly 125 homeowners from eastern Connecticut contacted the NBC Connecticut Troubleshooters following the original “Crumbling Foundations” investigation on July 21. Contractors and building officials say the only fix is to completely replace the concrete at a cost often into the hundreds of thousands of dollars. Homeowners say insurance companies immediately deny each claim. O’Sullivan says failing foundations were not on the insurance department's radar prior to the Troubleshooters investigation because the department did not receive any complaints about the issue over the past three years. He says one complaint did come after the Troubleshooters exposed the problem. One concern of affected homeowners is losing their insurance if they report a claim. Multiple people who dealt with the issue say insurance companies ask them to fix the foundation for tens, if not hundreds of thousands of dollars, or risk losing their coverage. O’Sullivan says the insurance consumer affairs division is there to answer questions regarding policies or even guide people through the process of a claim. However, if a formal complaint is made, the insurance company will be notified and involved in the remediation. O’Sullivan can’t promise protection from losing coverage. "There is a time period and it’s not usually a direct drop," said O’Sullivan. "(The drop) would be at the renewal of the policy if it no longer meets the underwriting requirements for that company." According to lawyers, some insurance companies are reportedly beginning to settle with homeowners denied coverage, but only after lawsuits are filed. Attorneys say it generally takes at least two years before any settlement discussion begin. When asked why insurance companies would settle if the foundations aren’t covered to begin with, O’Sullivan says it all depends on the policy language and if the company feels it can win at trial. "I think a lot of what we’re dealing with is the definition of 'collapse,'" said O’Sullivan. In the week since the original investigation, Gov. Dannel Malloy and Consumer Protection Commissioner Jonathan Harris acknowledged the problem is "serious" and said multiple state agencies are gathering facts and identifying the origin and cause of the issue. Harris visited a homeowner dealing with the issue on Monday. All affected homeowners say their foundations were placed between the early 1980s through the late 1990s, and all who can identify the concrete supplier point to J.J. Mottes Company in Stafford Springs. Some blame an iron sulfide mineral called pyrrhotite for causing the foundations to fail. Research suggests that pyrrhotite oxidizes over time from contact with air and water, creating a chemical reaction that causes concrete walls to swell and expand. It creates severe cracking and pushes the home up off the foundation. Contractors say it often takes at least 15 to 20 years for the cracks to show. The U.S. geological survey shows pyrrhotite present in the stone where J.J. Mottes retrieves their aggregate in Willington. The company confirms to the Troubleshooters it knows the pyrrhotite is present and has used Becker’s Quarry for decades. John Patton, a spokesperson for J.J. Mottes Company, said in a statement last week the company has "begun working with managers, geologists and testing labs to review all manufacturing methods and materials." This review began after the Troubleshooters contacted J.J. Mottes concerning the issue. Patton also said in the statement the company has produced 10,000 residential, commercial, municipal and state jobs since 1998 without any reports of a problem. Patton went on to say he’s aware of no project since 1998 having the "recently discovered pyrrhotite reaction." Patton said J.J. Mottes uses the same materials for residential, commercial and government work. The company has not commented on the problems for concrete supplied prior to 1998, and also wouldn’t disclose which state and municipal jobs it has been hired to work. The company has declined to answer any of our questions since releasing Patton's original statement, despite the Troubleshooters' repeated attempts to obtain additional comments. For those looking to file a formal complaint, they can do so on the Department of Insurance website or by calling the consumer affairs office.